Today’s band rose from the ashes of short lived and seminal anarcho-punk band Big In Japan. 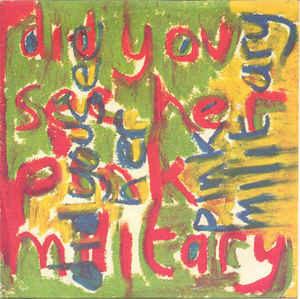 Following their breakup in 1978, vocalist Jayne Casey formed post-punk outfit Pink Military. 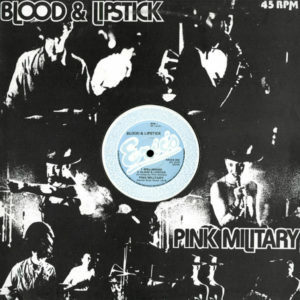 Originally named Pink Military Stand Alone, the outfit focused on dance rhythms under a somewhat thrashy and hypnotic post-punk aesthetic. The band’s output consists of a few lone 12” releases and one full length record, 1980’s Do Animals Believe in God?. 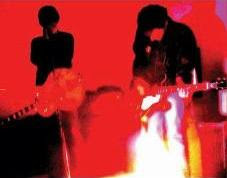 Though the core members of the group were Jayne Casey and guitar/keyboardist Nicky Cool, the band would revolve through a few different lineups before disbanding shortly after their full length saw the light of day. Jayne would continue on with another string of collaborators under the name Pink Industry, which was much more of a minimal electro project. For your listening pleasure, I’ve uploaded two single releases…Both the 1979 Blood & Lipstick 12” and the slightly later Did You See Her? 7”. 1. Did You See Her? Today’s post is on one-shot UK act Rhythm & Faith. 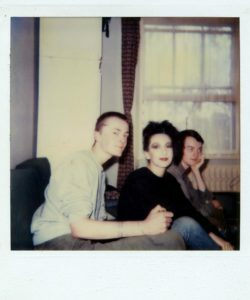 Another sparsely documented act, this female-fronted goth-rock band released but one 12” single in 1983 on Future Records, an offshoot of seminal punk label No Future (also home to early incarnations of And Also the Trees and Christian Death). One of the tracks from this 12” also appears on the killer The Invisible Frame compilation, which also features Ice the Falling Rain, Two, and Blitz. 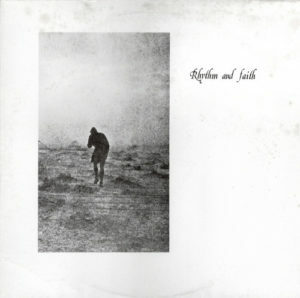 The roots of Rhythm and Faith date back to 1980. Anna and Stefano originally played in a similar band in Italy called Style Sindrome. That band released one track on the legendary Gathered compilation before splitting. Anna and Stefano relocated from Rome to London in 1982, forming this band in the process. Style Sindrome’s other recorded material wouldn’t see the light of day until a reissue in 2012. Rhythm and Faith’s sound is very reminiscent of Juju-era Siouxsie & the Banshees, so fans may want to especially check this one out. Starting tomorrow, I’ll be off and away for the holidays, so expect some more treats early next week! 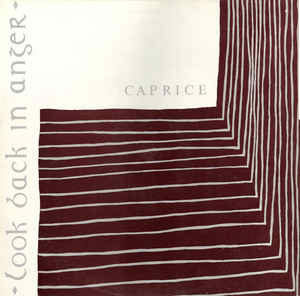 Another zip file for you folks today… I’ve uploaded the entirety of Look Back In Anger’s Caprice, a six-track female fronted goth-rock record produced by Billy Duffy (The Cult/Theatre of Hate). The band hails from Southampton, and formed in 1981, quickly securing gigs with like-minded acts Brilliant and Death Cult. The band released a cassette recording and an initial single early on, and made two parting recordings for small-time label Criminal Damage in 1984, the Flowers single and the Caprice mini-album/EP. The band folded soon after. This record often appears on the net, fetching decent prices…Keep your eyes peeled for it and snap it up if and when you can…and happy weekend, kiddies! 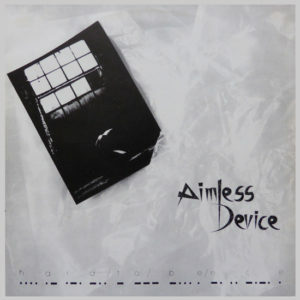 Today’s band is Aimless Device, a Belgian band mixing driving synthesizers and hard-hitting post-punk. I can’t find much information on these gents, aside from a tidbit cluing in on latter-day bassist Ferre Baelen’s previous involvement in similarly styled T.C. Matic. The band’s scant (and scarce) discography consists of four EPs and repeated compilation appearances, and some of their material has since appeared on CD. The band’s final single was released in 1987, and the band folded a few years later. I’ve uploaded the entirety of their debut, 1985’s Hard to Be Nice for your listening pleasure. *DOWNLOAD LINK REMOVED* The band’s entire discography has been reissued via OnderStroom Records. Click here for more info. That said, I’m considering breaking format and uploading full-lengths from certain artists, depending on how little or much they released. I still may keep to a two-track preview for bands with expansive output (or current, supportable acts) but may begin uploading full length singles, EPs, and records by bands since defunct. Any reader opinions on the matter? Here’s an incredibly rare treat to kick off your Monday, ladies and gentlemen. I have found scarce tidbits of information about today’s band, Tuscon, AZ’s Pre Fix. The band, whose credits consist of multi-instrumentalists Johnny Glenn and David Herbert, released but one curious and excitingly strange 45” in 1981 on San Fransciso’s Subterranean records. Credits for the Underneathica single also include production by Tommy Tadlock, more well known for his work with Tuxedomoon. Post-Pre Fix, Johnny Glenn formed The Ballad of Johnny Glenn. 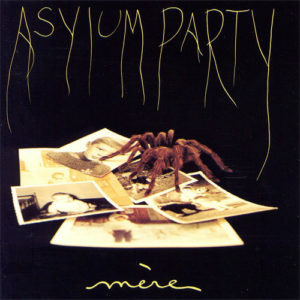 My very first post in Systems of Romance featured French coldwave greats Asylum Party, formed in 1985, who released a duo of solid records and a series of captivating singles before their demise. I’m fulfilling a request for today’s post- for I’ve uploaded the entirety of their second record, Mère complete with the Ticket to Ride 7” attached as a bonus. These two tracks appear on the CD reissue, also rather hard to get ahold of. With that in mind, happy Friday, ladies and gentlemen! I’m pleased to post about today’s band, NYC local dreampop favorites Bell Hollow. Fresh off the release of their debut full-length, Foxgloves, the band shall be playing their cd release party in the heart of New York next Friday, November 16th, at Don Hills. The band’s origins date back to 2003, where like minded bassist Christopher Bollman and guitarist Greg Fasolino (both veterans of NYC deathrock outfit Naked & the Dead) formed Bell Hollow to explore and rekindle a love of all things dream-pop and post-punk. 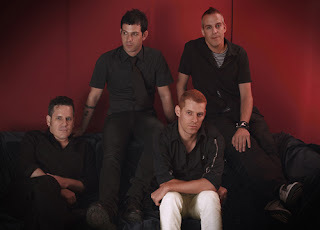 The band’s lineup was fully realised with the inclusion of singer Nick Niles in 2005 and the addition of their second drummer, Todd Karasik, in 2006. Bell Hollow’s sound calls to the glory days of shimmering shoegaze and guitar-pop, swirling guitars, locked-in rhythms, and ethereal vocals, and the band’s influences (Kitchens of Distinction, The Sound, Sad Lovers and Giants) are built upon with solid songwriting, clever arrangements, and admirable musicianship. The band has two releases under their belt, 2006’s Sons of the Burgess Shale EP and 2007’s Foxgloves, both released under indie label five03 (also home of the likeminded and equally captivating Prids). Both releases were recorded and produced by local NYC engineer Hillary Johnson, who also fills out the quartet’s live sound with synthesizers. Acoustic guitar contributions on Foxgloves are also made by Josh Strawn, lead vocalist of fellow NYC outfit Blacklist. For today’s downloads, I’ve uploaded one track each from Bell Hollow’s releases…the first, a favorite of mine from their debut EP and the second, the lead-off track from Foxgloves. Today’s band, Bush Tetras, formed in the heart of New York City soon after the initial wave of the punk rock explosion. A female fronted dance-groovin’ post-punk band led by vocalist Cynthia Sley and complete with jerky rhythms and dissonant guitars, Bush Tetras first hit the scene in 1980 with a series of singles and EPs. Lead guitarist Pat Place’s previous credits included co-founding James Chance’s no-wave outfit the Contortions. 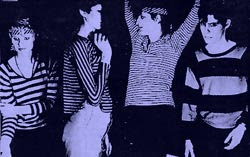 The band would achieve initial club success for their ‘Too Many Creeps’ single, a roaring, fiery, and jagged tune that helped draw attention to the budding post-punk and no-wave movements. The band would tour relentlessly during their initial tenure, forming a kinship with The Clash and experimenting with more Afro-rhythms and Caribbean influences. After recording three proper EPs (Too Many Creeps, Boom In the Night, and Rituals), the band split up in 1983 upon the release of a live cassette entitled Wild Things. A further compilation of the band’s material saw the light of day (albeit also on cassette) in 1989, and it wasn’t until 1995, a year before the initial lineup would reform, that the band saw their first proper cd release, a compilation entitled Boom in the Night, which would collect all their previous efforts. In 1996, the band would record a new record entitled Beauty Lies, picking back up briefly from where they left off. After another decade of inactivity, the band released a combination compilation/record this year, entitled Very Very Happy, which features a handful of new tracks and a series of re-recorded tunes from their past, updating these songs and recording them as they were meant to be heard. The band is currently active and playing shows in East USA, so catch them if you can! For your listening pleasure (and with the blessing of the Bush Tetra’s promotions dept./label), I’ve uploaded a duo of Bush Tetras tracks: the first is the title track from their 1981 Boom In the Night EP and the second, the freshly re-recorded take on their initial breakthrough single, ‘Too Many Creeps’- plucked from 2007’s Very Very Happy. and for your viewing pleasure…here’s the band performing ‘Too Many Creeps’ live during NYC’s Ladyfest*East festival in 2002. Sorry for the delay, ladies and gents…I’ve had computer trouble for a few days, and as of this morning (fingers crossed) I’ve gotten things back up and running, with only a few gigs of music completely lost. That said, here’s a quick Friday treat. 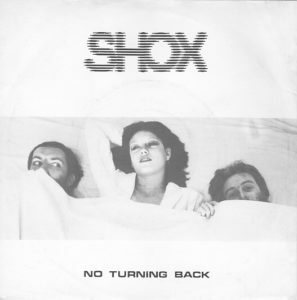 Shox were a British wave trio comprising Mike Atkinson, Jacqui Brookes and John Peters. 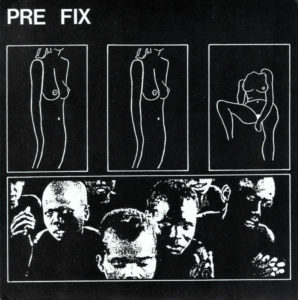 They released only two tracks in 1980, comprising one of the first four Axis 7” singles, just before the label rechristened itself as 4AD that same year. Stay tuned next week for more resumed activity (*fingers crossed*), including an album request, a post on NYC locals Bell Hollow, and a bit of new material from the legendary Bush Tetras!